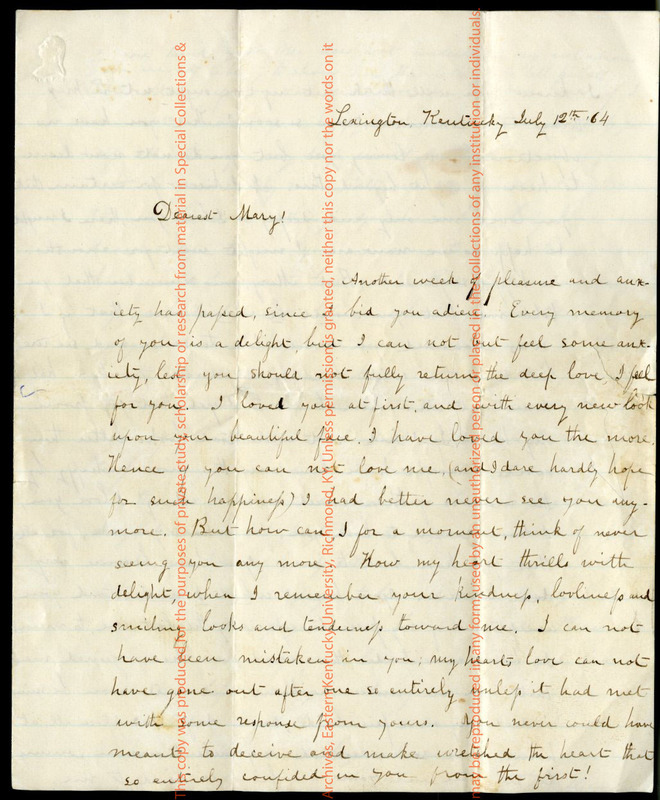 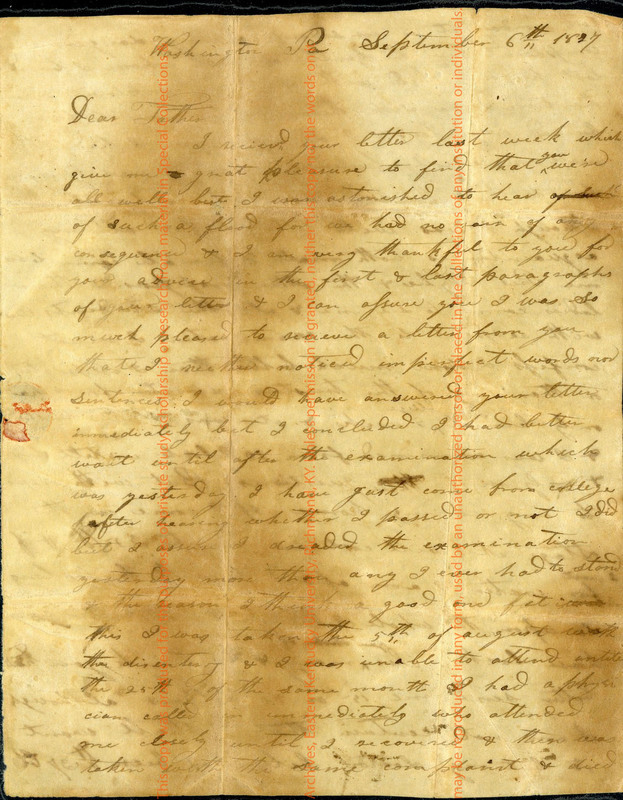 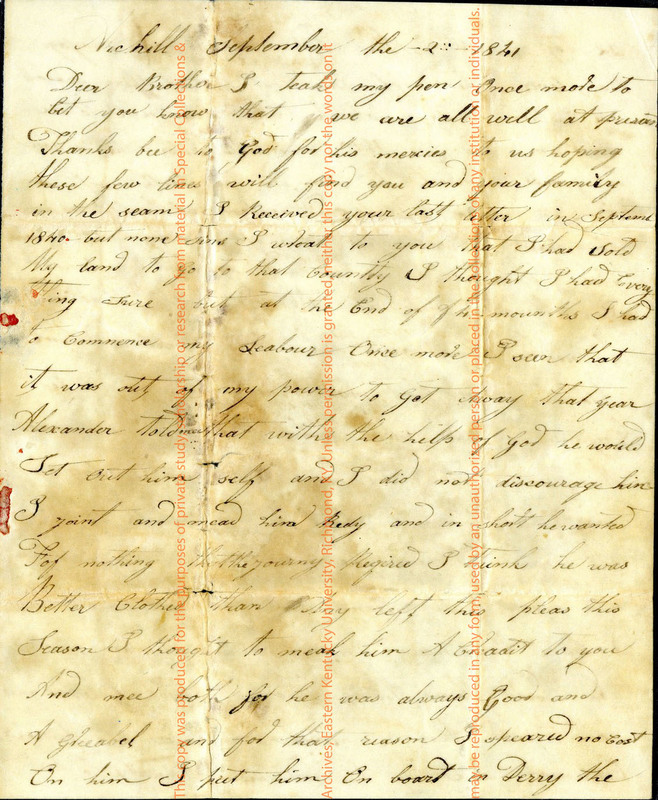 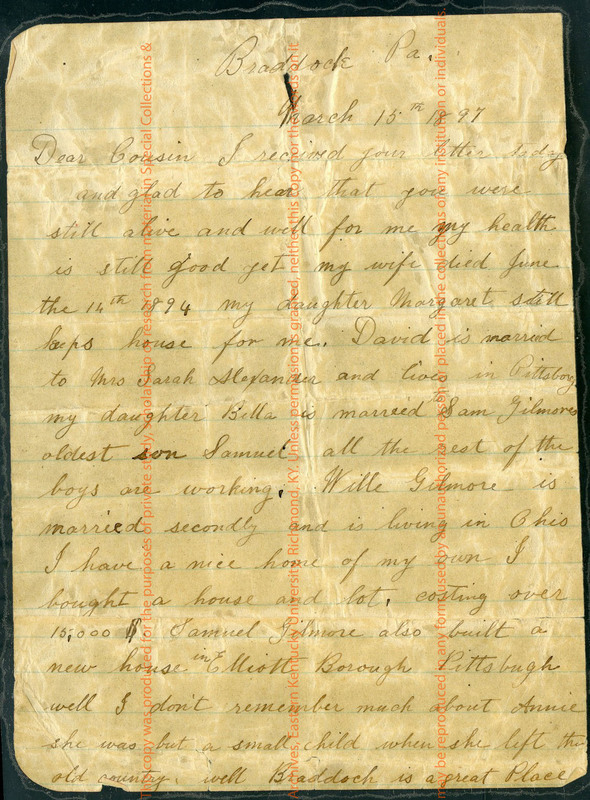 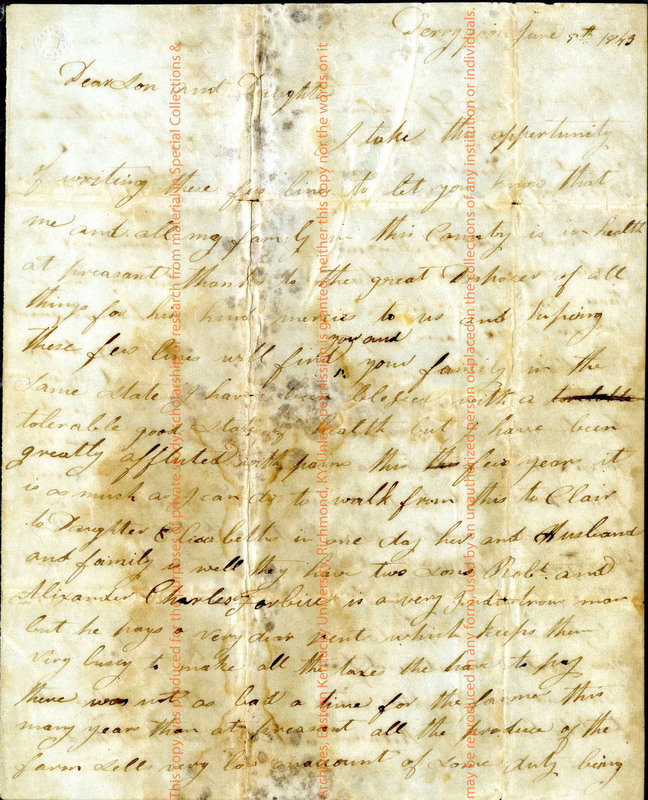 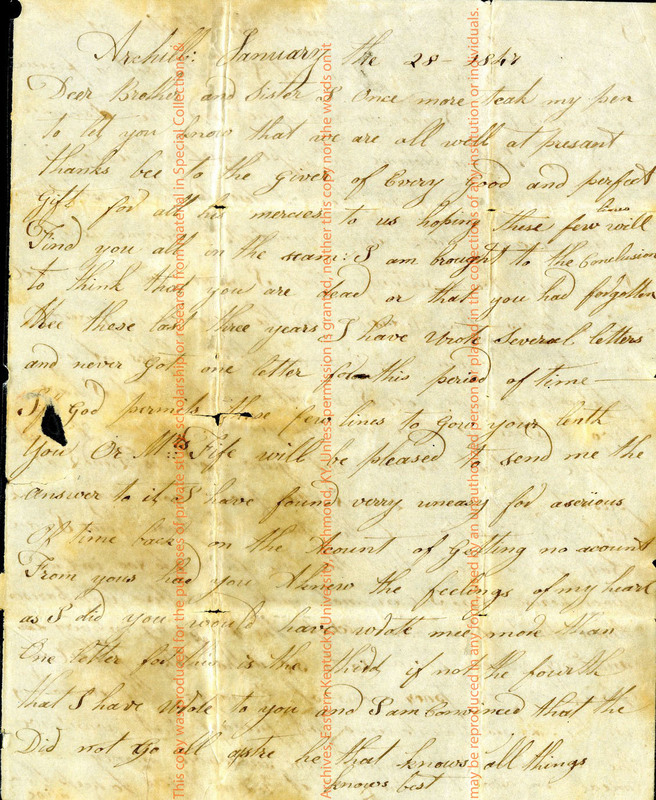 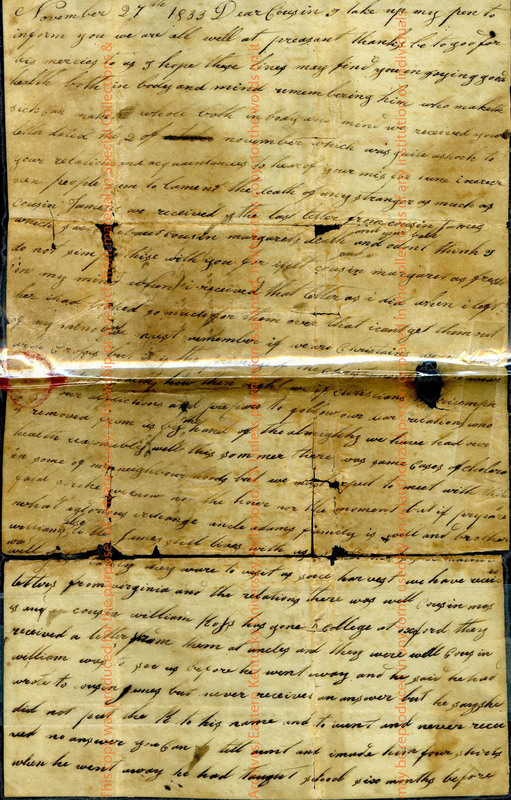 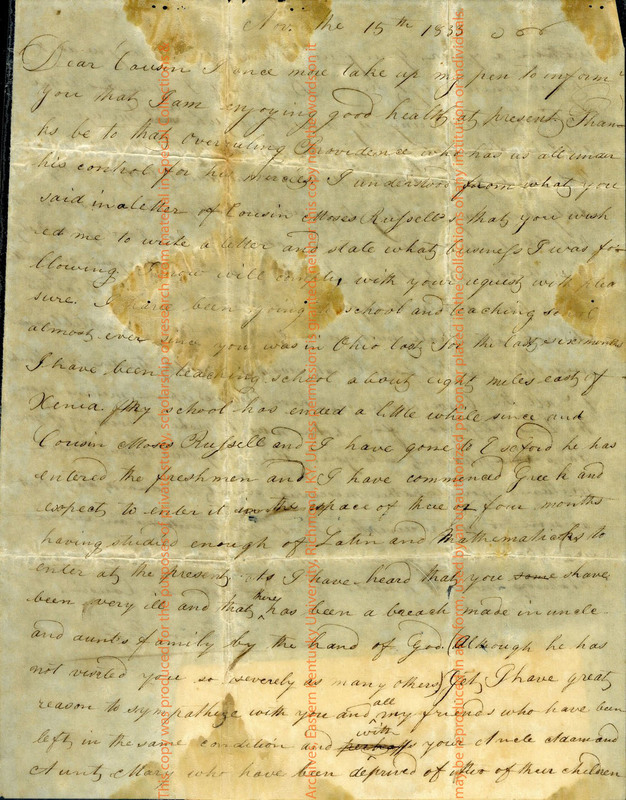 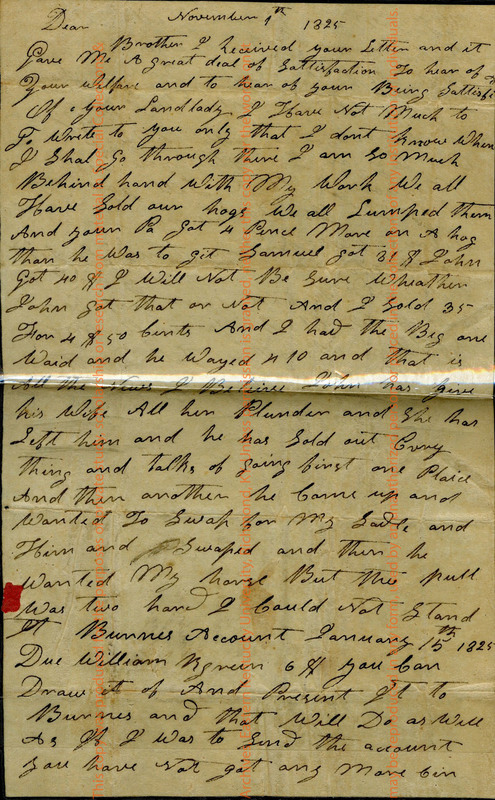 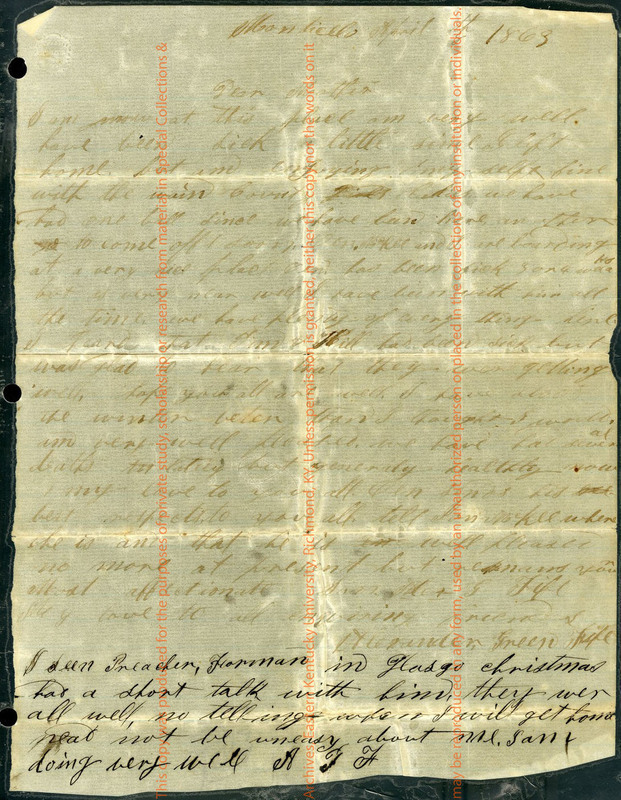 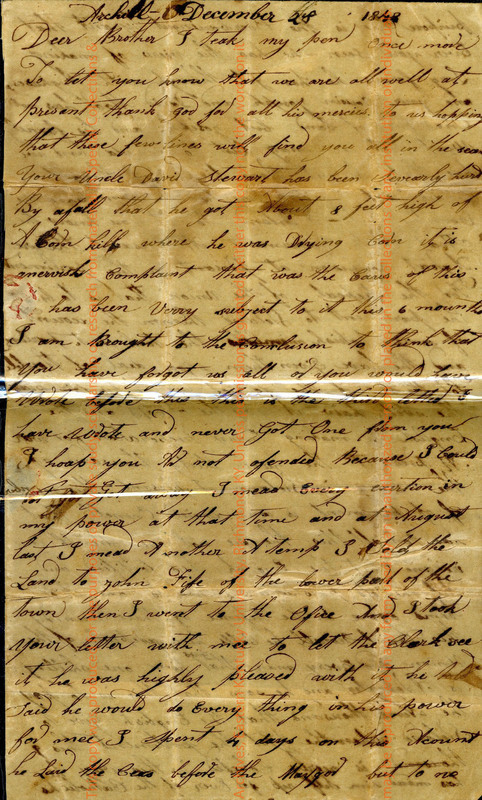 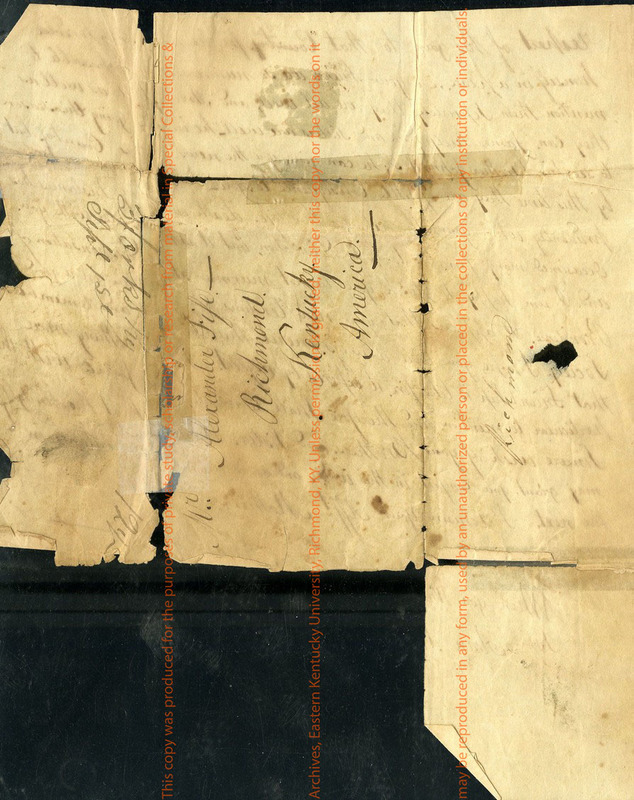 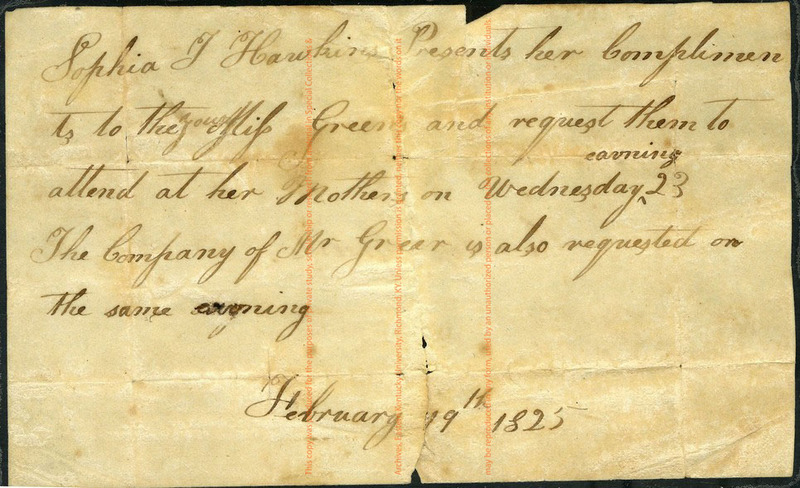 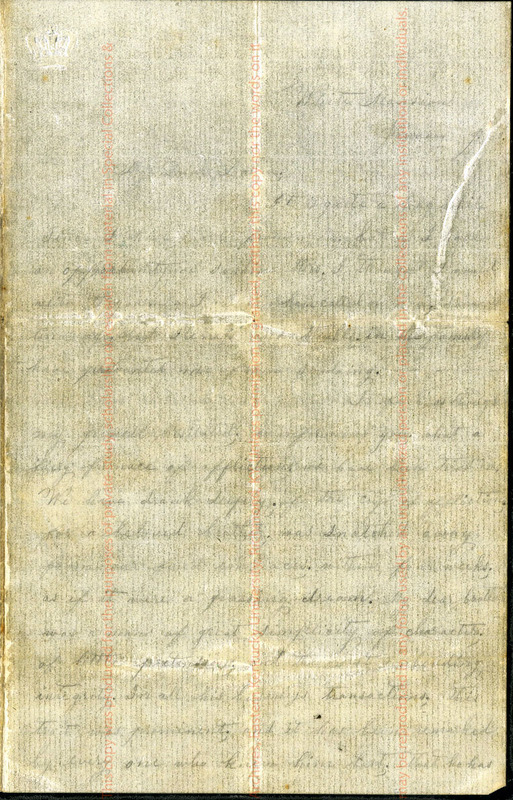 The Green - Fife - White Family Papers consist of correspondence and other documents from the family of Daniel Green and Margaret Ross Green and their descendants. 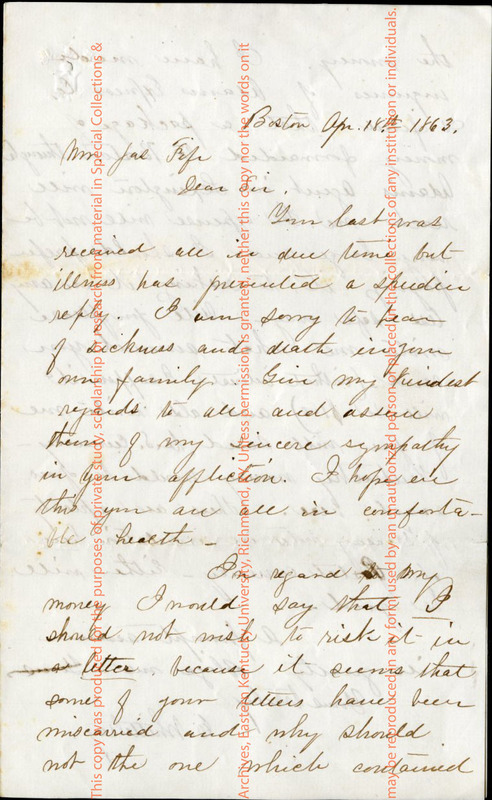 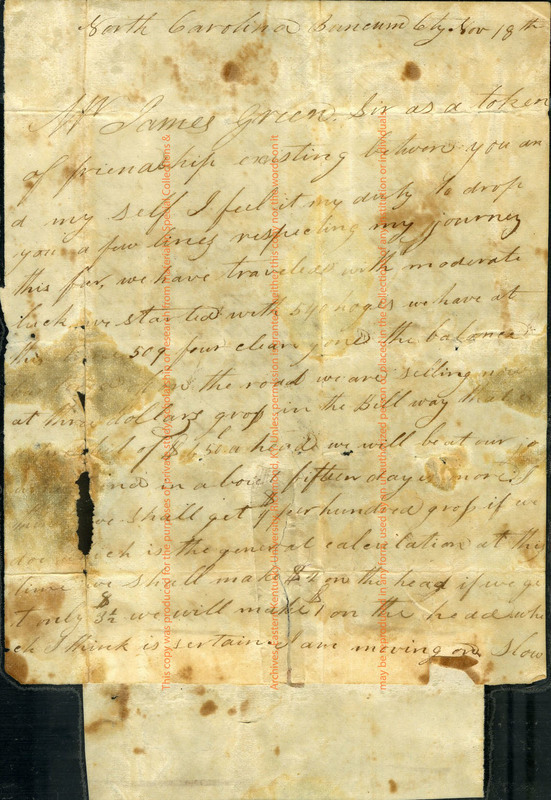 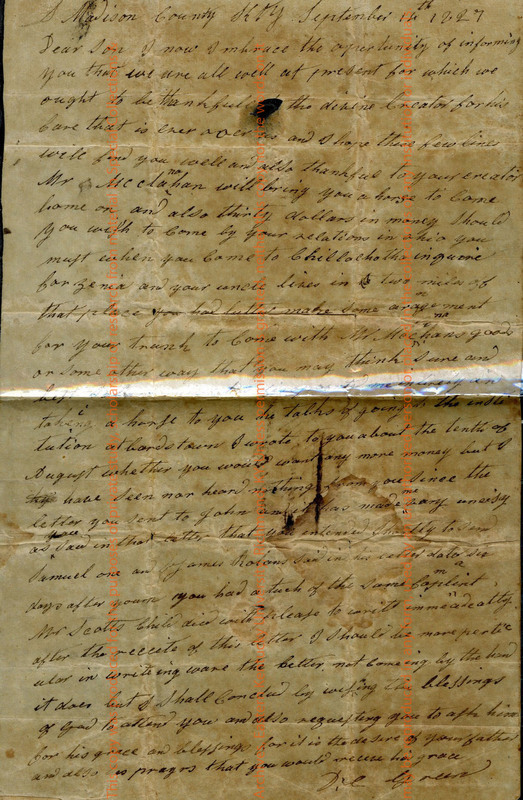 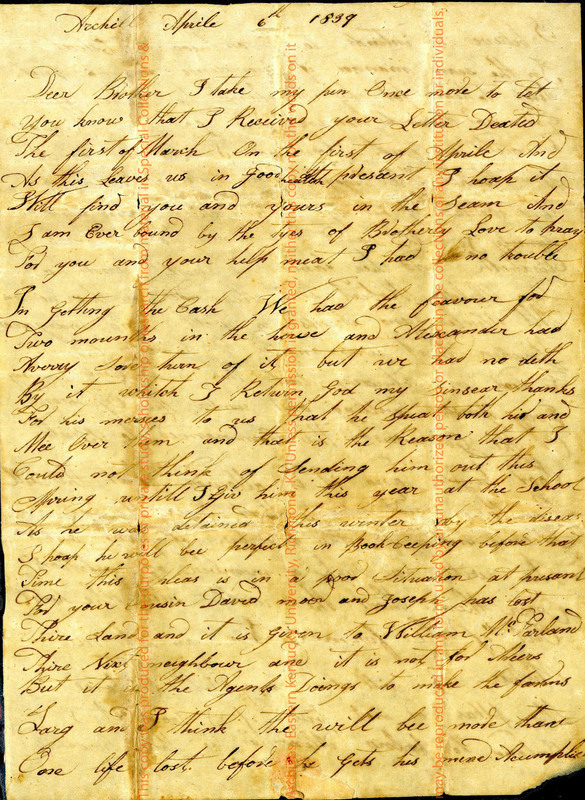 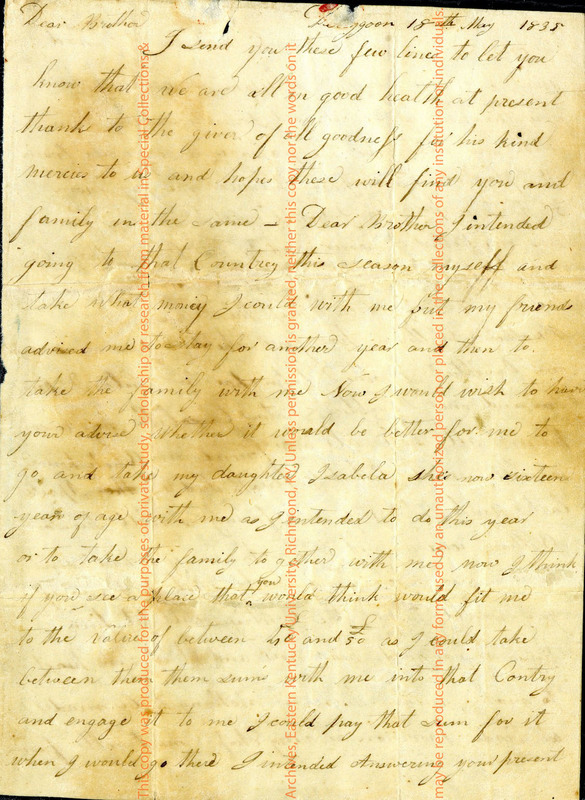 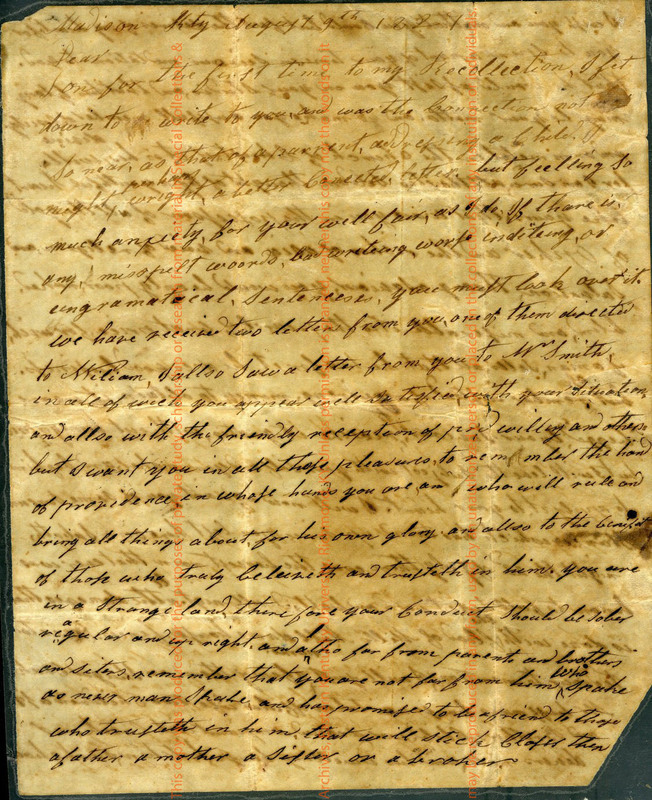 The letters from Ireland to Alexander Fife are especially interesting as they discuss the economic and political situation in Ireland as well as information about family members and neighbors. 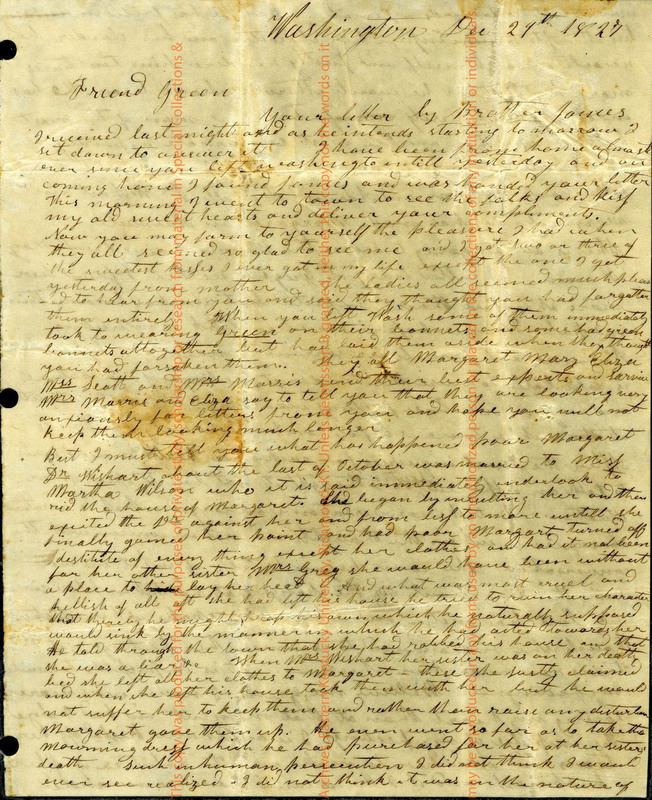 The last letter in that series briefly mentions the Potato Famine. 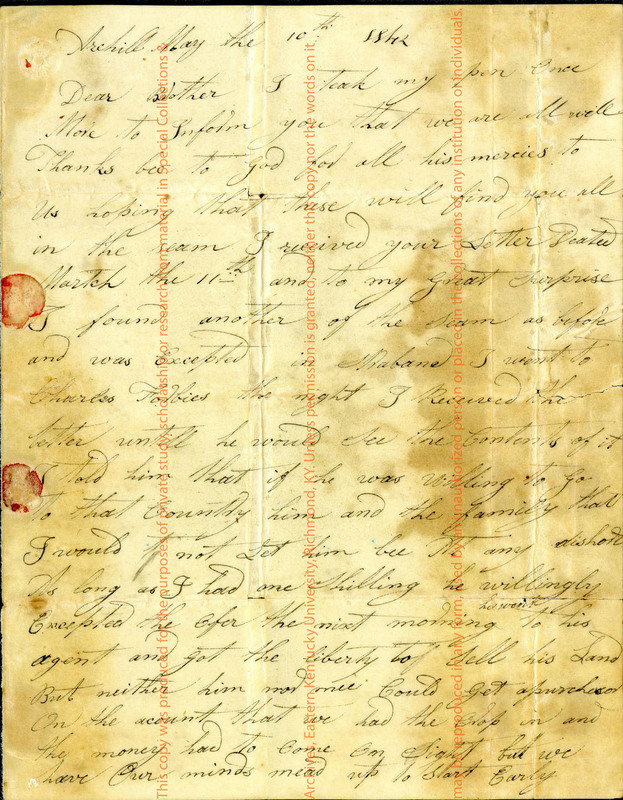 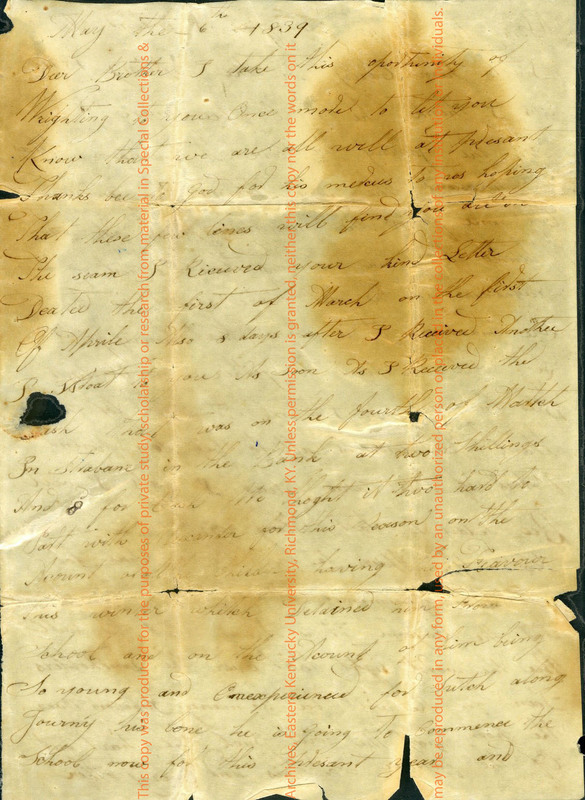 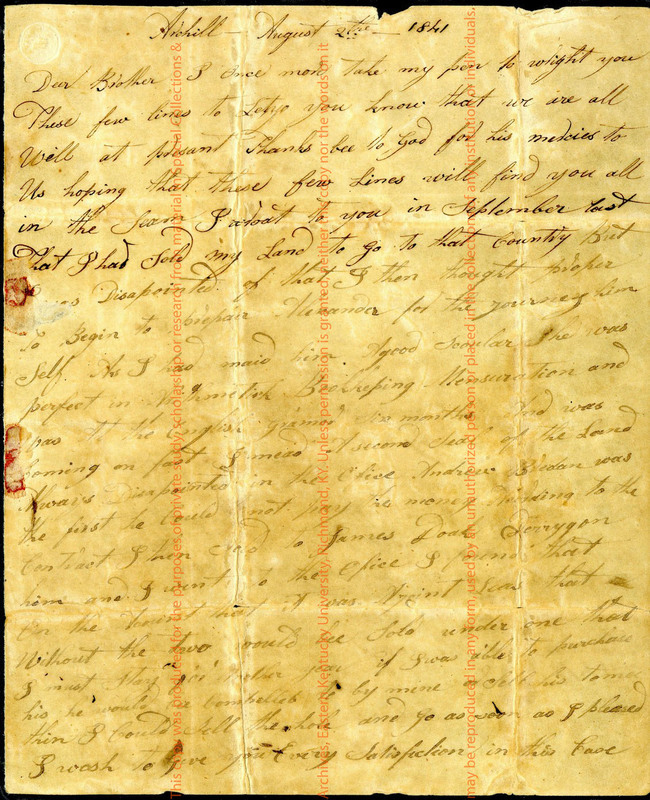 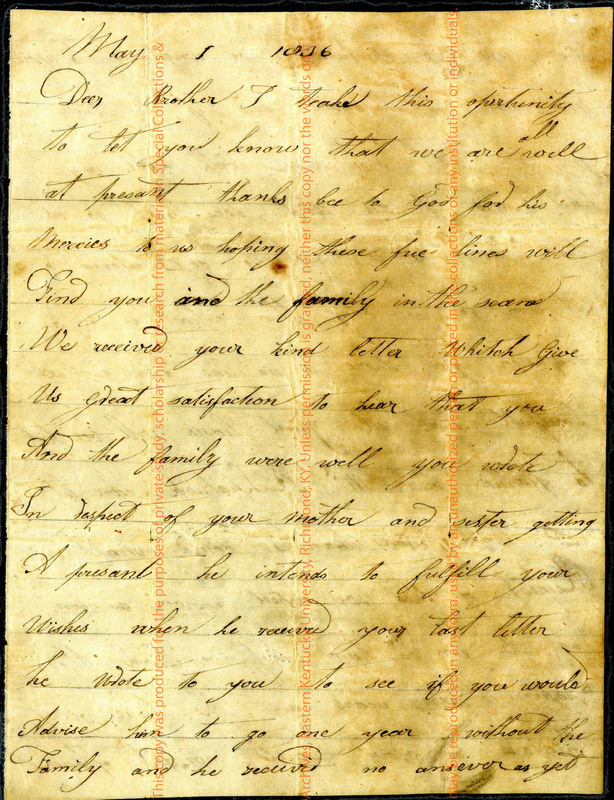 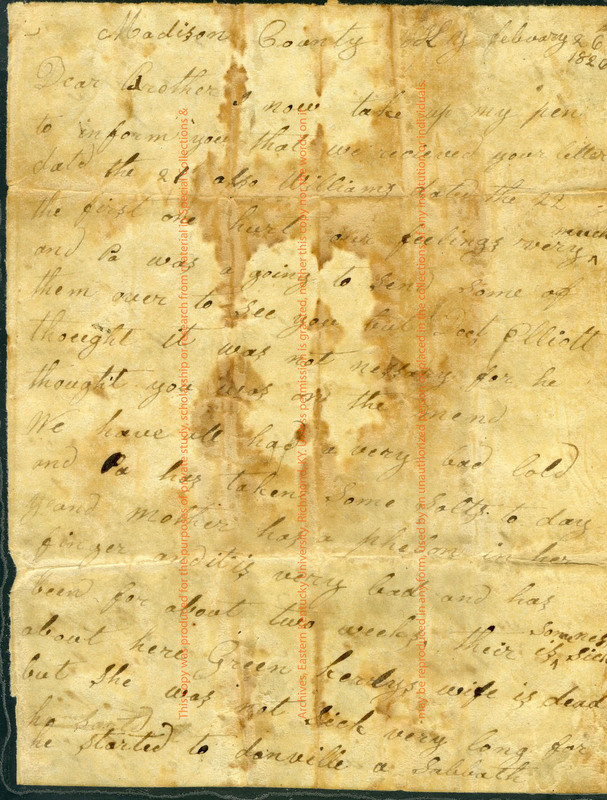 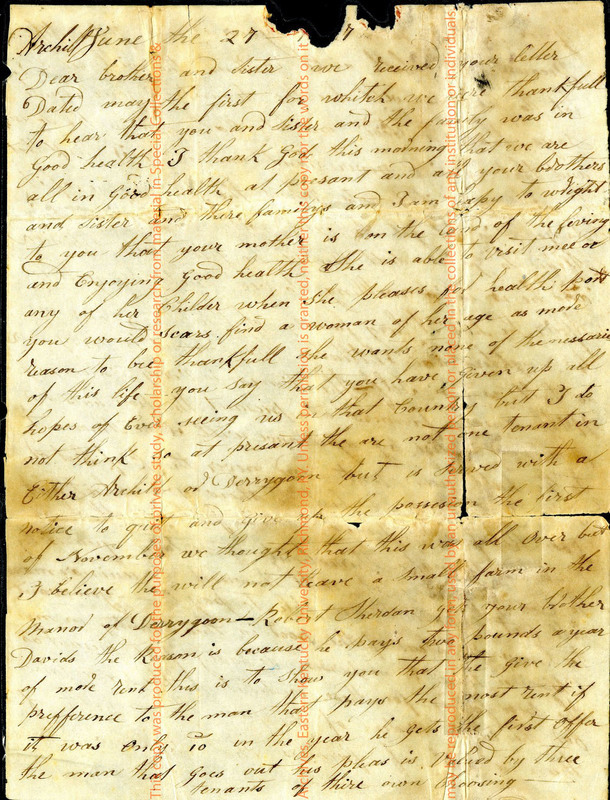 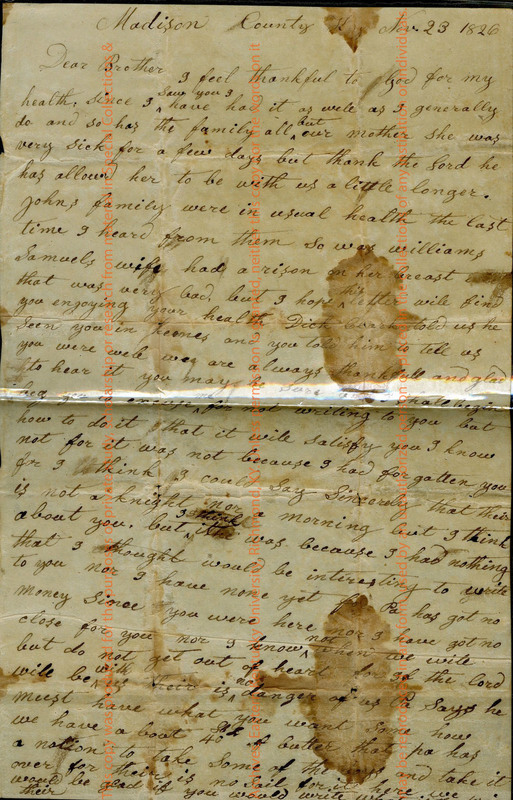 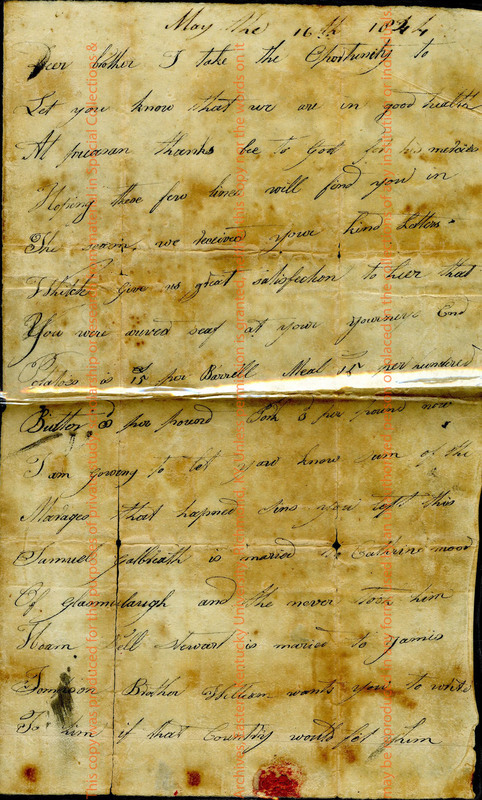 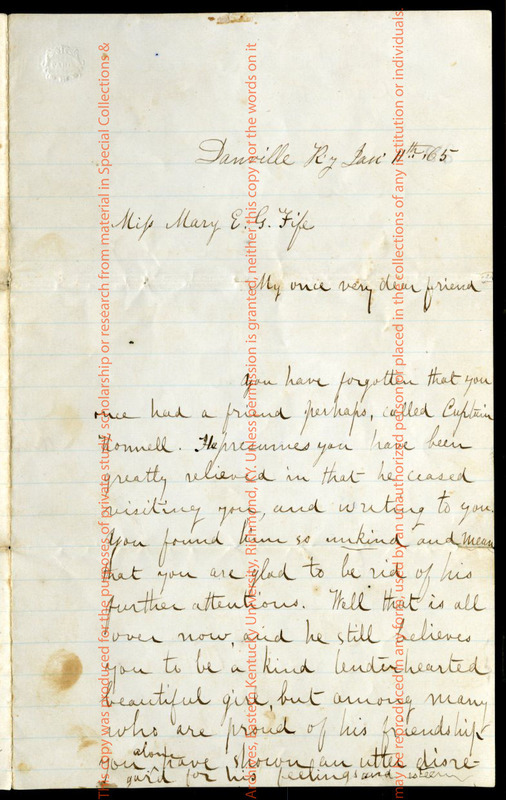 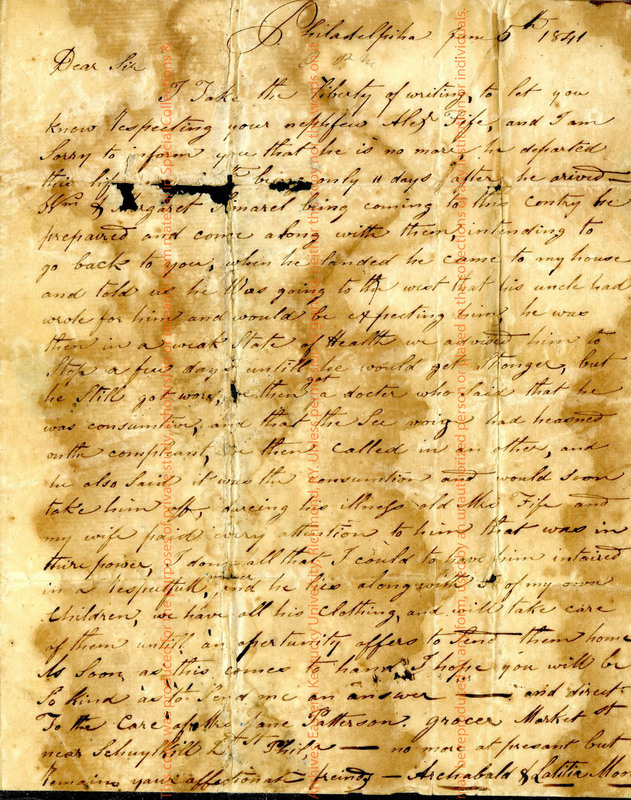 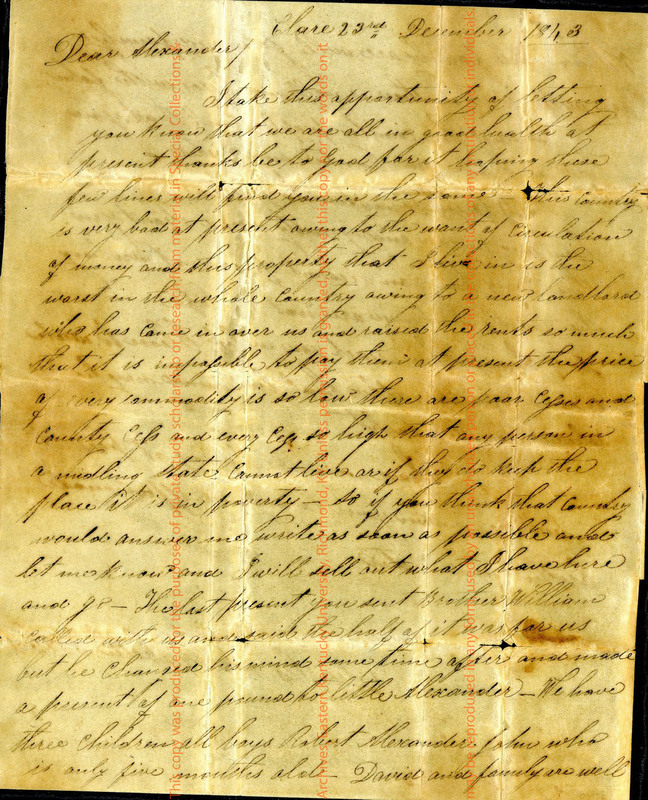 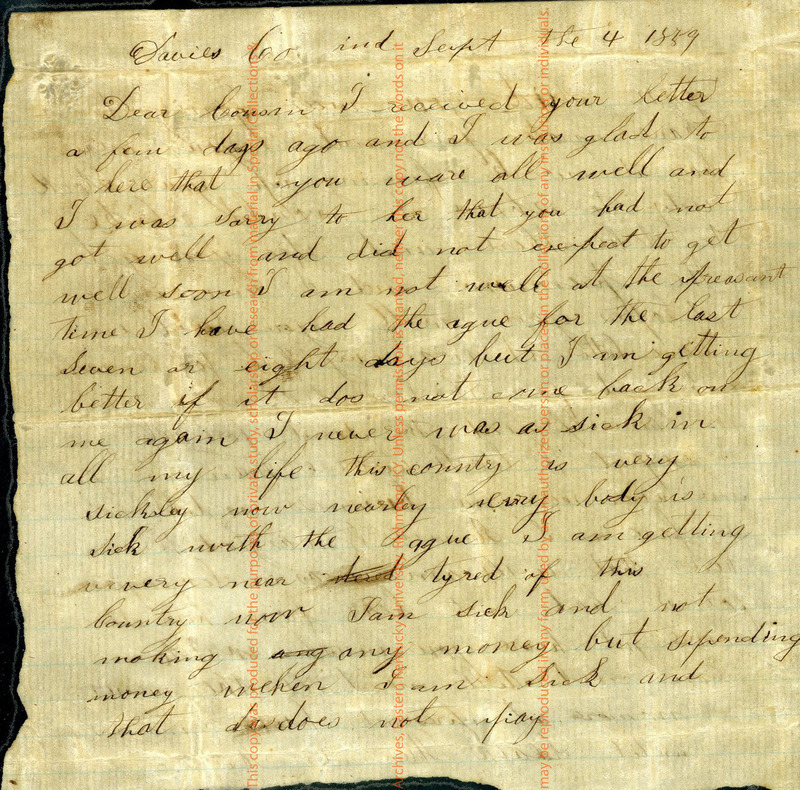 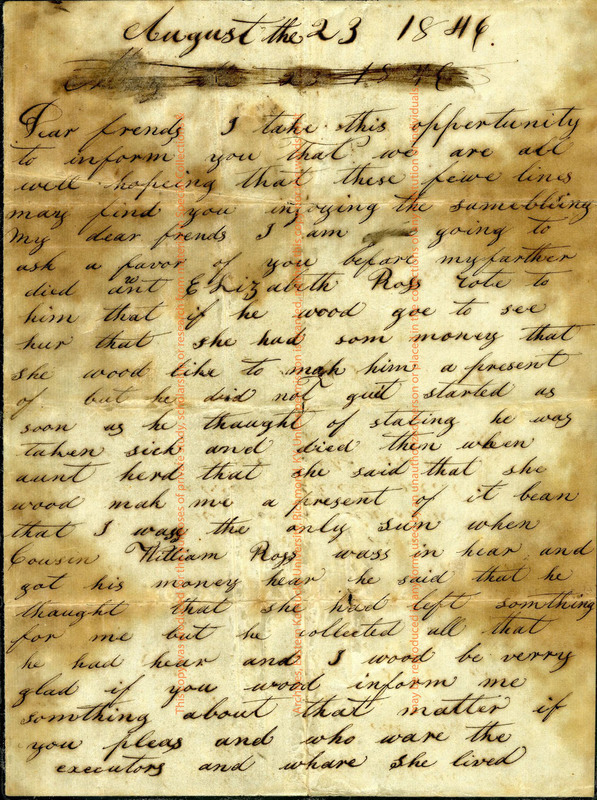 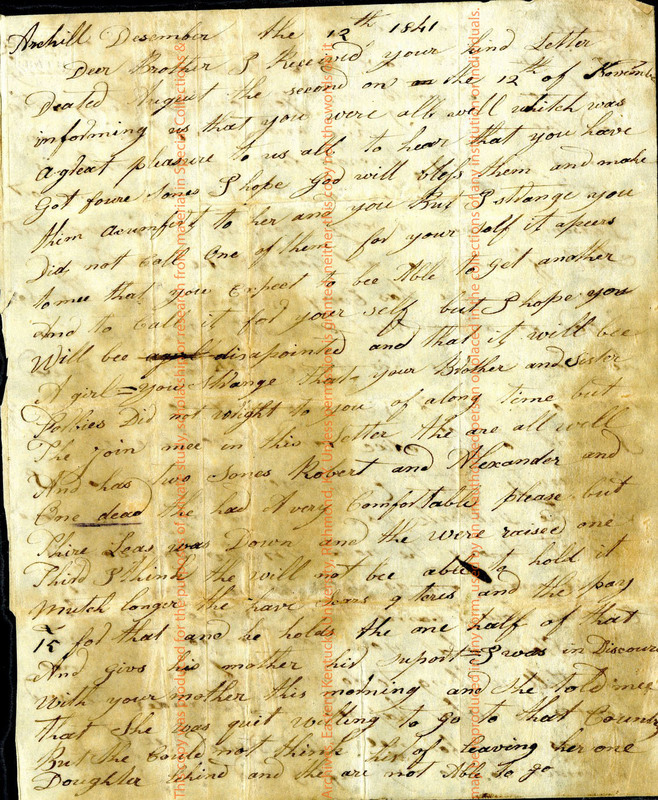 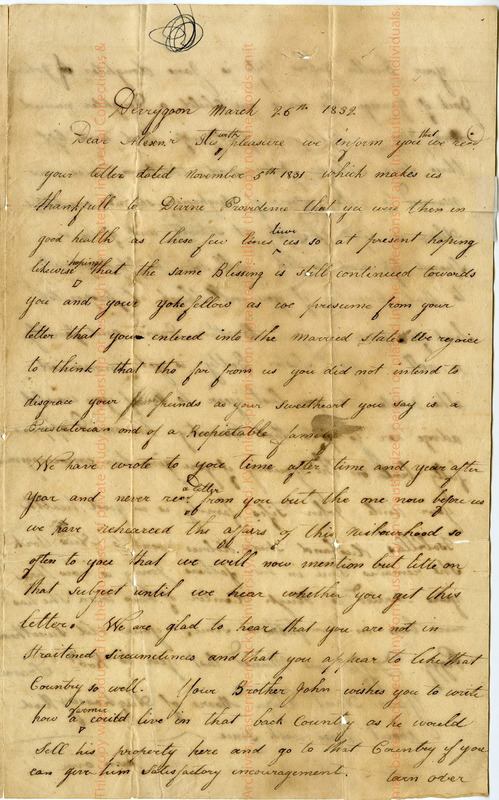 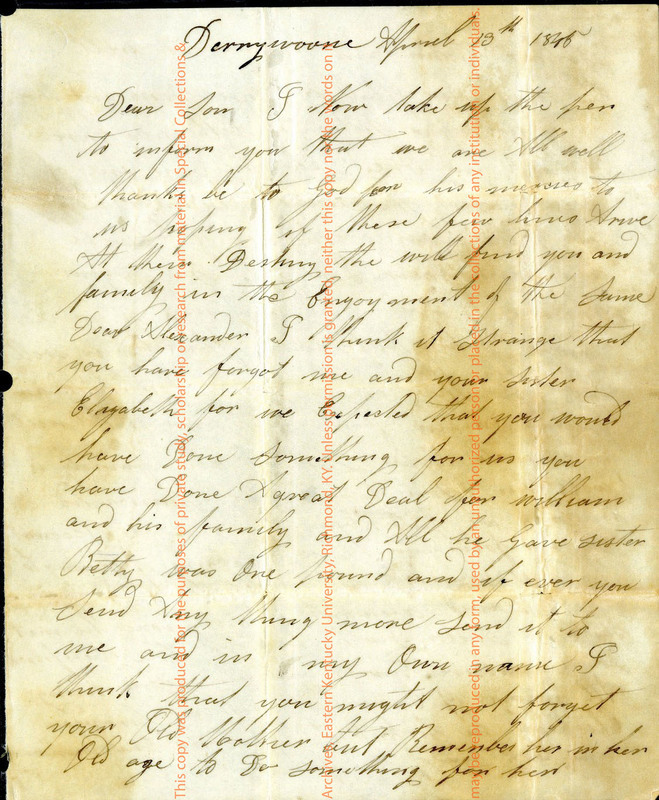 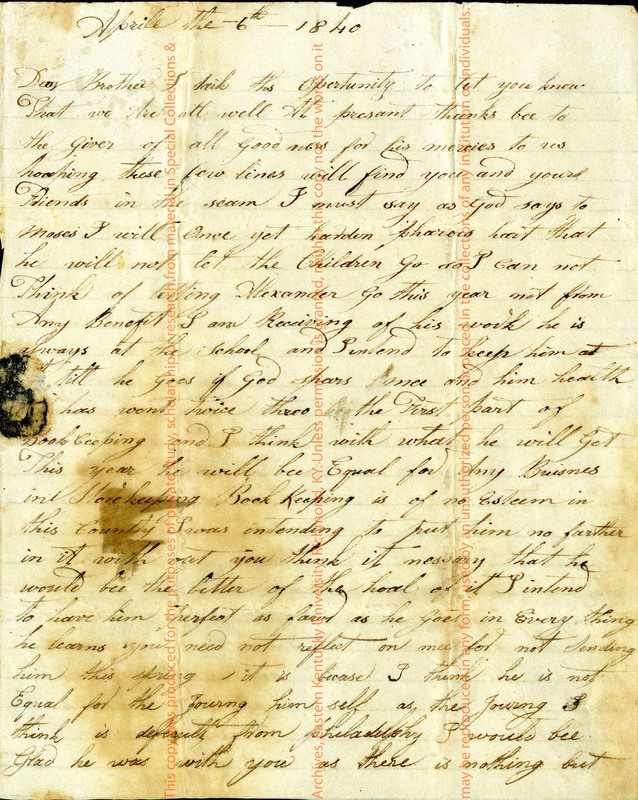 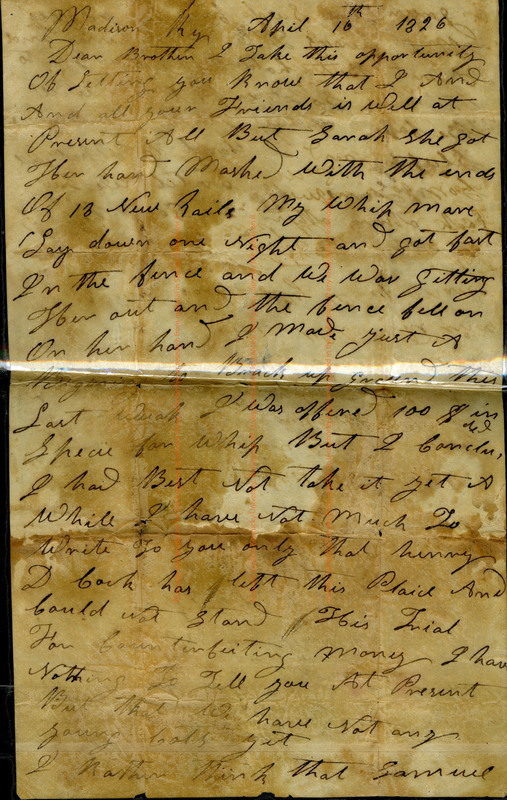 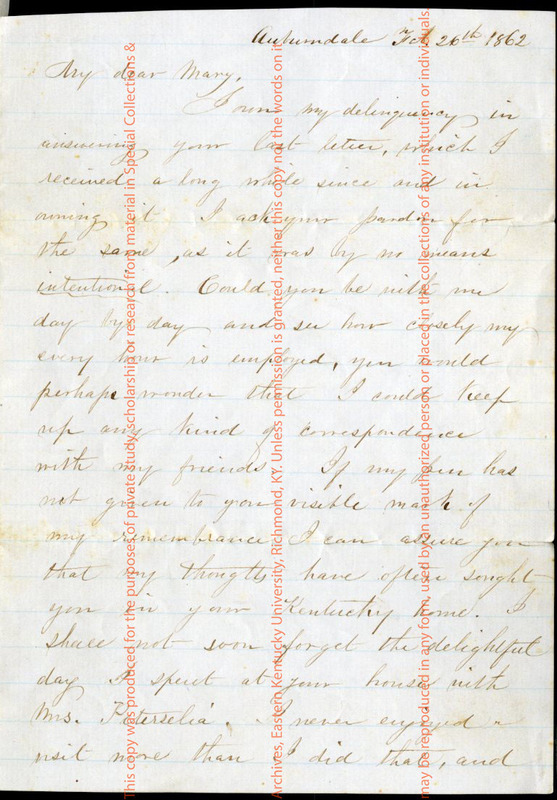 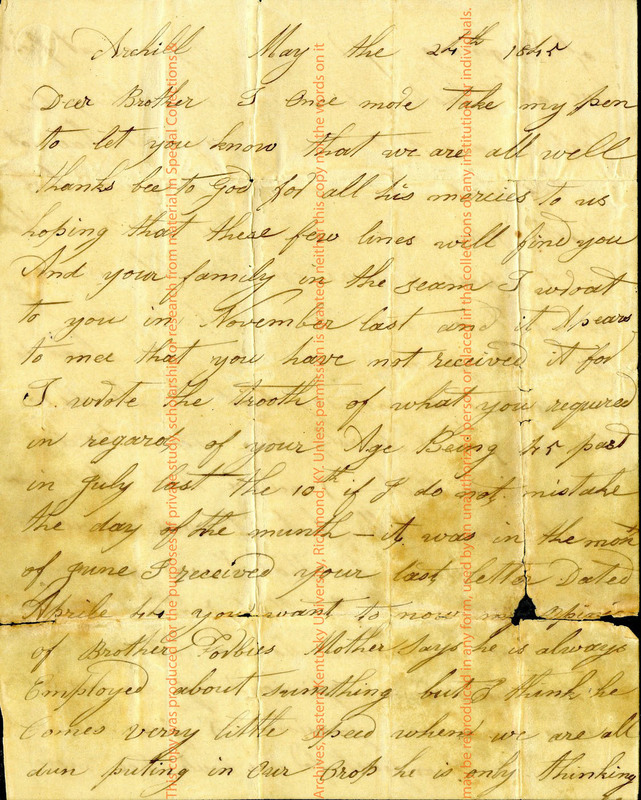 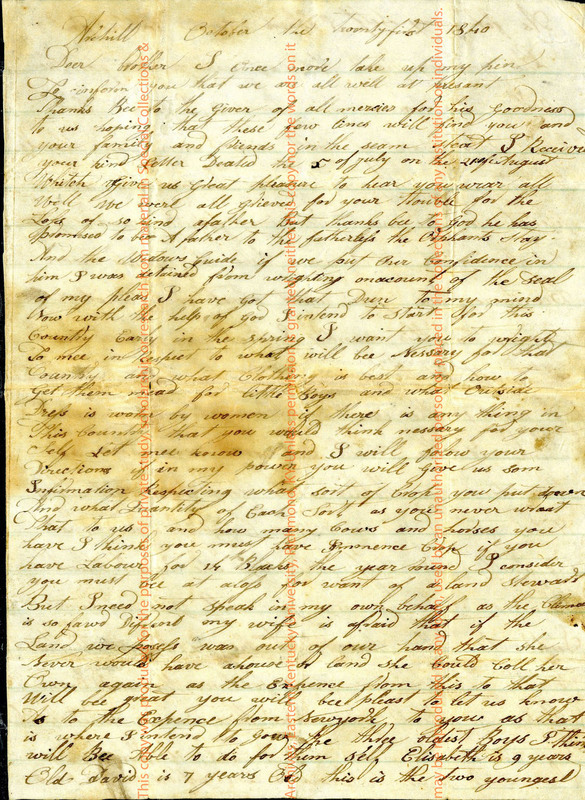 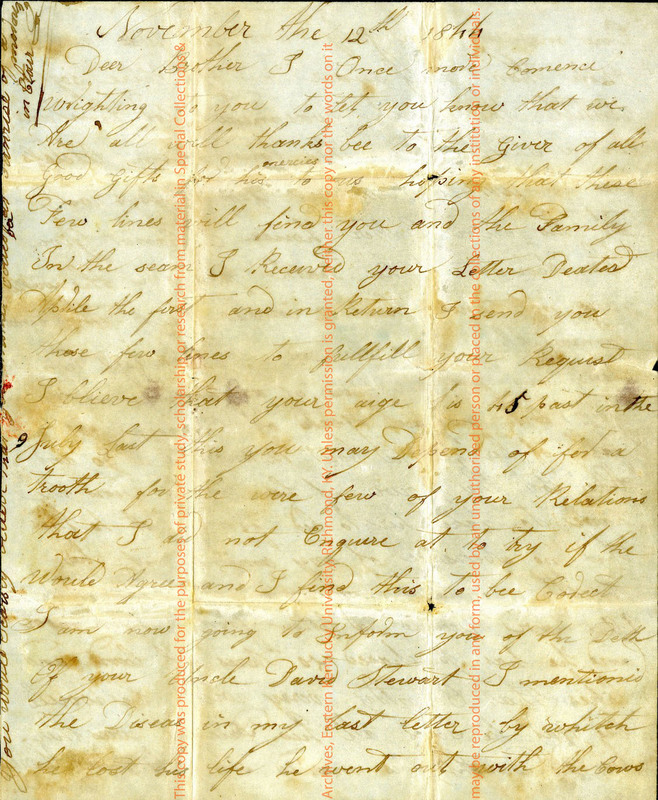 Much of the correspondence to Mary Fife was written during the Civil War and includes information about wartime currency and other things relevant to the war. 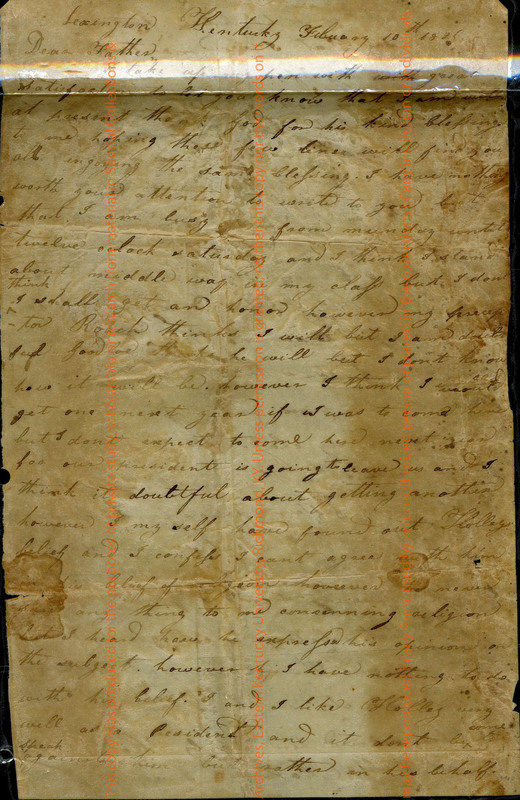 There are also numerous documents relating to slaves and slavery including a ledger which records slave birth dates and children from the late 18th and early 19th centuries. 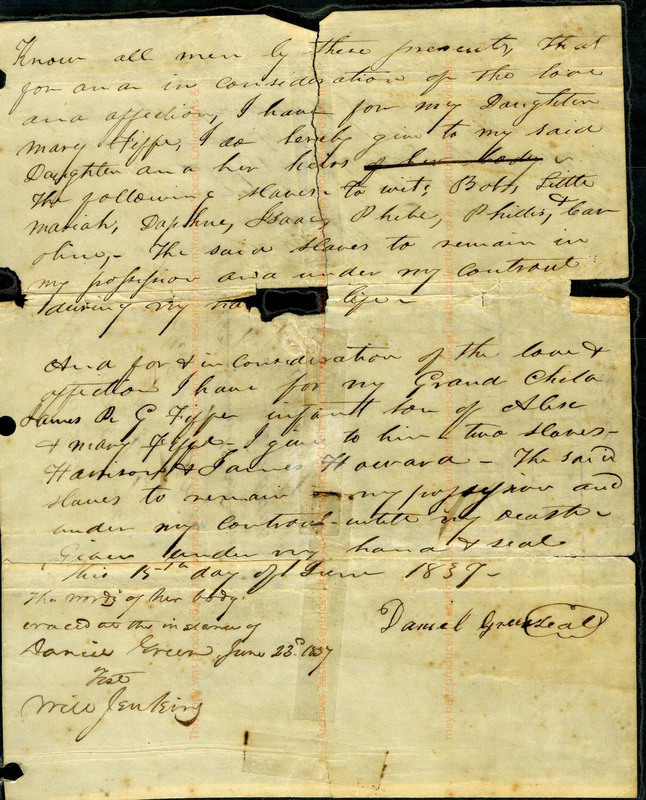 Oath admitting Alexander Fife as citizen of U.S.